If you’re someone who has had really long hair all of your life, you might be getting bored with the length and wanting to try something new and shorter. But you might still be afraid of going too short. The good news is that instead of going too short, you can try having a medium length cut before making a decision to go any shorter. Bobs are very in right now and some may consider them to be too short for them, but you don’t have to worry about that since long bob haircuts are easy doable! 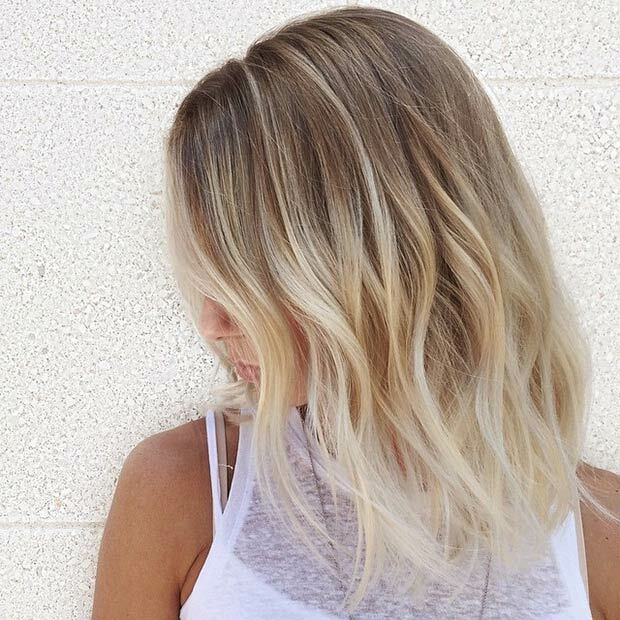 Here are 27 easy lob haircuts you might want to consider. 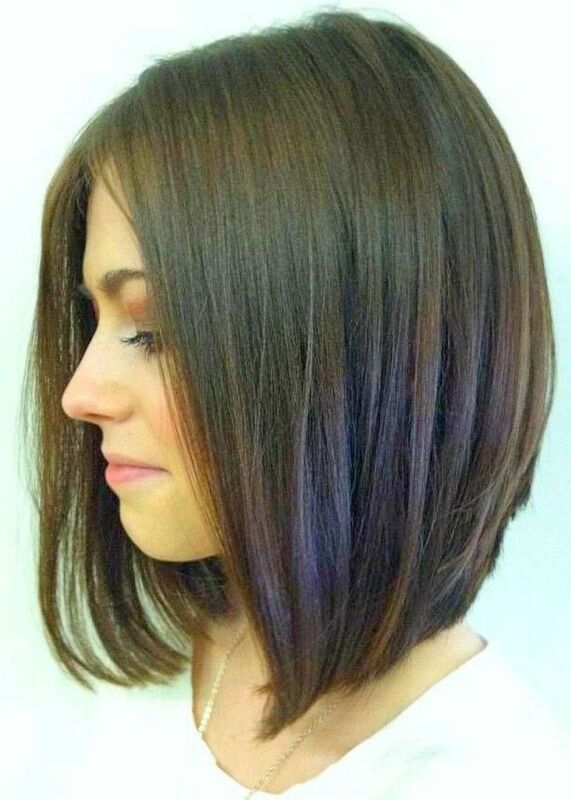 If a blunt bob is too clean and proper for you, try going with an a-line. 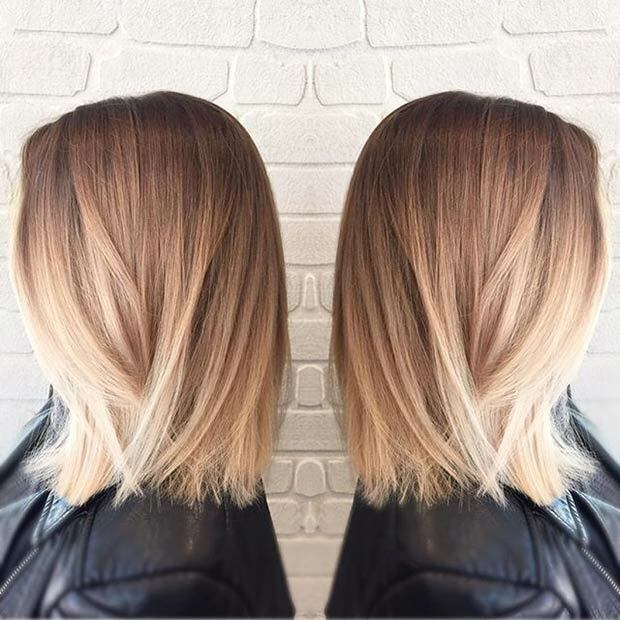 A-line bobs are even more popular than regular blunt bobs. 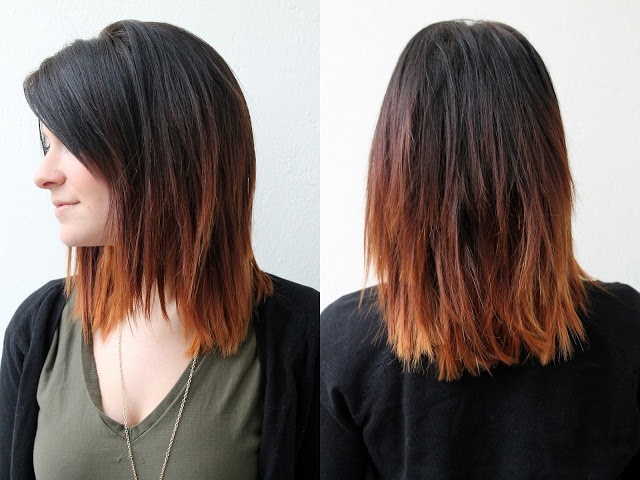 For a little extra “oomph”, make sure to add layers in the back to give yourself an interesting look and more volume. If you’re someone who prefers one length cuts, go with a cut a little past the shoulders. 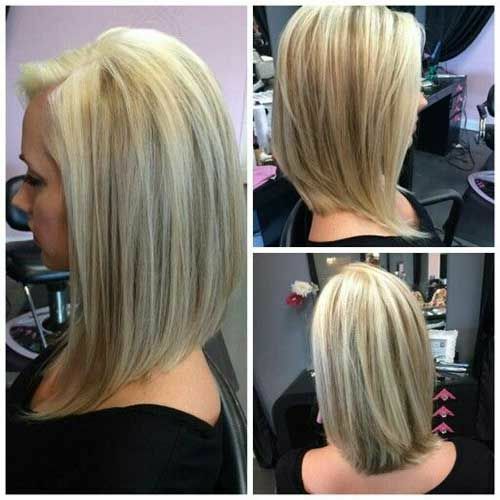 Add some long layers to give the cut a little definition. 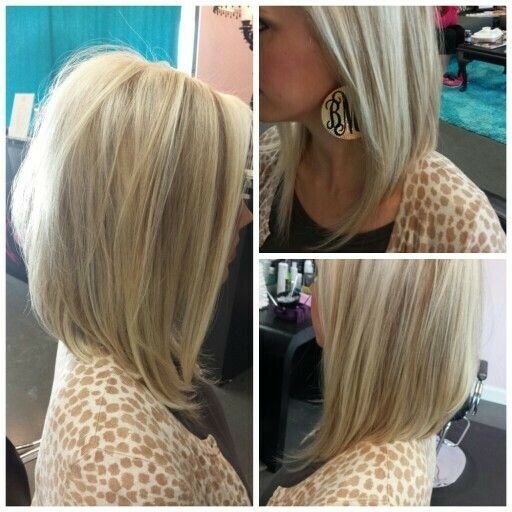 This is a great lob (or long bob) style! Are you bored of your straight hair after having it straight for so long? 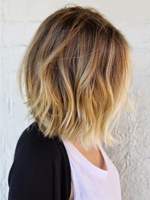 Consider turning your straight long bob hairstyle into a wavy one. Curls and waves are more fun, and are easy to accomplish with a big barrel curling iron! This is a great soft look for a romantic night out. Curl the ends of your hair and give your long fringe some hairspray to stay in place. Use mousse to add a little more volume at the top, if you want! Lose your boring brown or blonde bob and turn it in for this fierce fiery, red bob. You will definitely turn a few heads with this hair colour – especially in a cut that frames your face. For the younger ladies, you may still be interested in having choppy layers in your hair. Choppy layers give an interesting look to any cut and makes it look younger. Make it even better by adding a bright colour like orange and red to the bottom of the layers. This is one of the easiest to cut and style. Just make sure you have a good hair straightener if your hair isn’t as naturally straight as this and give it some hairspray to keep it in place. Use a heat protecting product to protect your hair! 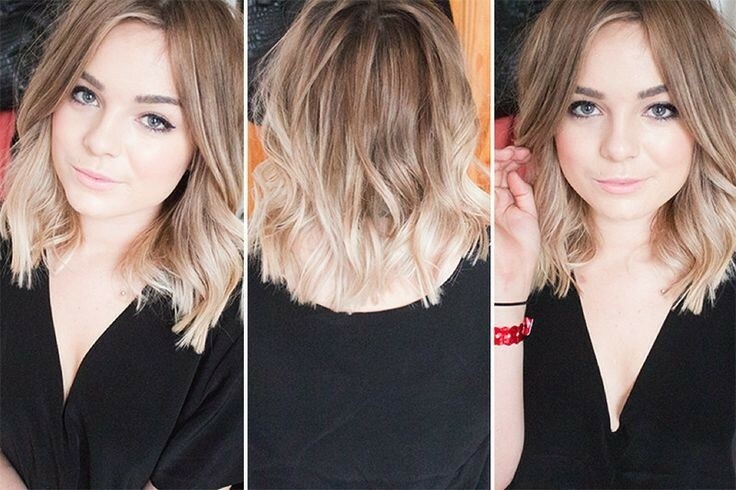 Here is another version of a soft look for an ombre bob with curls. Instead of leaving the long fringe straight like in the other one, make every strand of hair curled. Make sure to use a good amount of hairspray to keep the curls in place all through dinner and drinks. Why stop at just curls? Take another step further and add a braid headband to your look. This is the most romantic hairstyle of the three and is perfect for a coffee date or a day out with your friends. 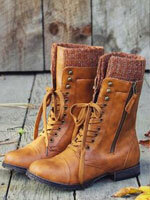 It’s great for that romantic, boho look! Grey and silver hair have been the recent trend. If you’re not into going back into the salon to redye your hair a typical neutral colour, step out of your comfort zone and get something like this. This colour isn’t just for old people anymore! For those who don’t want to go all grey, try this ash brown-grey color. Straight hair doesn’t have to be stick straight. Take some of the hair at the front and move it back for a bit of a flirty look. Spray a generous amount of hairspray to keep it in place and you have a quick style to go out the door with. This may look a little strange at first, but having one side shorter than the other has become more and more popular these days. It’s different, interesting, and will make you stand out from the crowd. 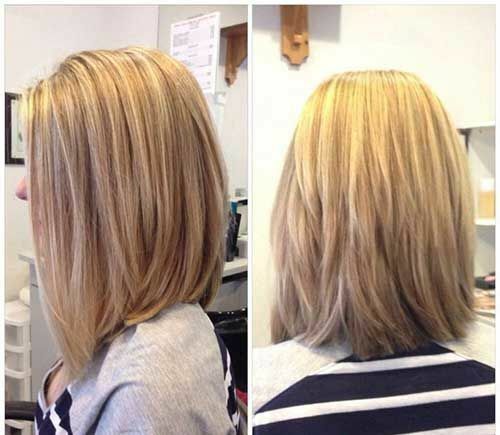 Try a minimal variance in length at first if you’re scared of making it too asymmetrical! How romantic is this look? This curly style is gorgeous, romantic, feminine and great for any special occasion you can ever think of. Nothing like curls to show off an amazing dye job! 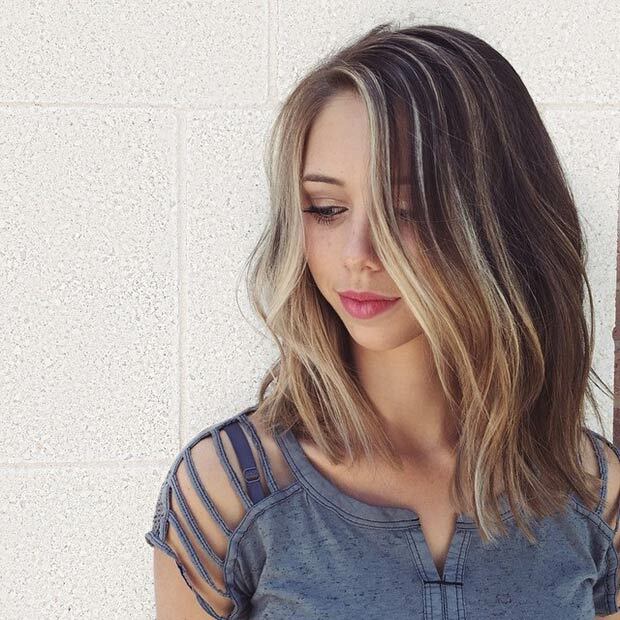 This is similar to the first a-line cut, but a few inches longer. So if you’re not able to part with a few more inches, you can try it out with a longer cut first. 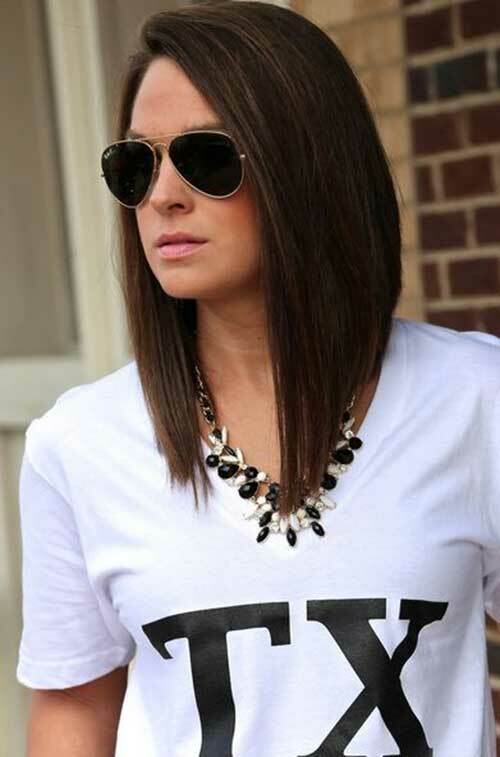 Style with a flat iron for a sleek look! Anyone can add curls to a look and leave it alone. For a more edgy look, flip some extra hair over to one side and leave the rest tucked behind your ear. If you need to, add some bobby pins to make sure they remain tucked behind and don’t fall in front of your face. There aren’t a lot of layers to this, so it looks more blunt and more of a striking look. 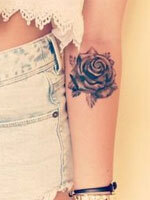 Pair with a beautiful dye job if you want it to be more interesting! 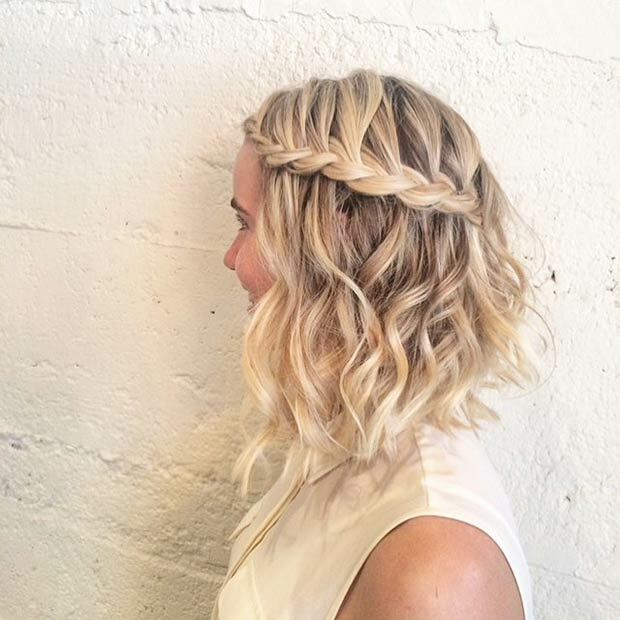 Shoulder length hairstyles for summer 2016: After your night shower, go to bed with two loose braids. Then when you wake up in the morning, take them out, run your hands through your hair to rough it up a little, and add some hairspray. Effortless bed head curls for just running errands or looking edgy and chic! 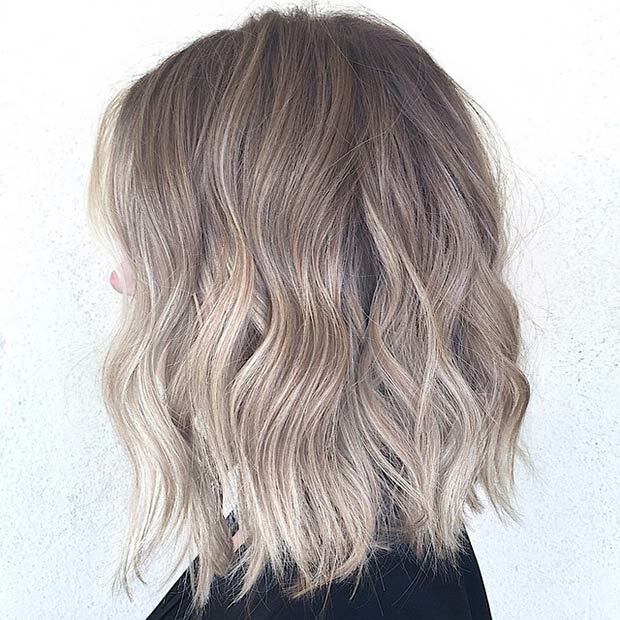 With the front of your hair being a couple of inches longer than the bob part in the back, this should be fairly easy to be comfortable with. It’s not too long and it’s not too short. It will almost look as if you’re not really wearing a bob at all. And it looks on trend, too! 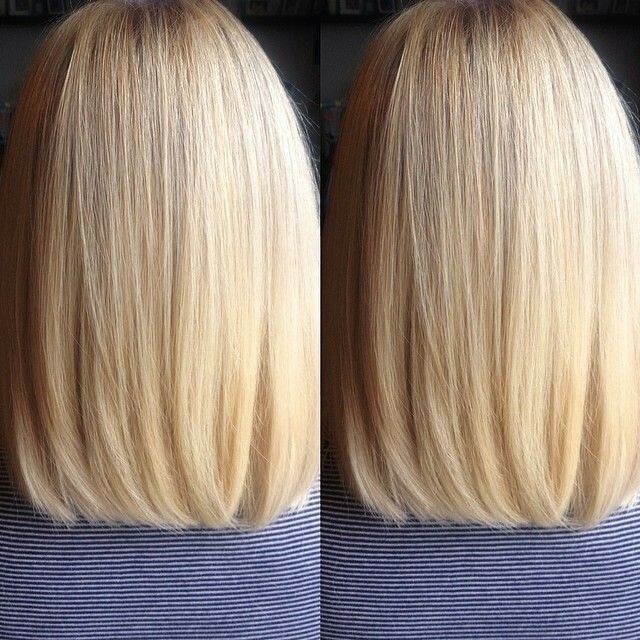 You don’t only need long layers for your bob. Adding some short layers near the crown will add some extra definition and a little more edge to your look. Dye the tips for a more interesting look if you wish! This entire look is for someone who loves to go big or go home. More and more women are going super platinum and silver. If you’re looking for something super simple as a style, clip back one side of the front. Super simple, cute, and out of your face. Easy daily hairstyle for shoulder length hair: If you’re looking for the perfect summer hair, this is it. 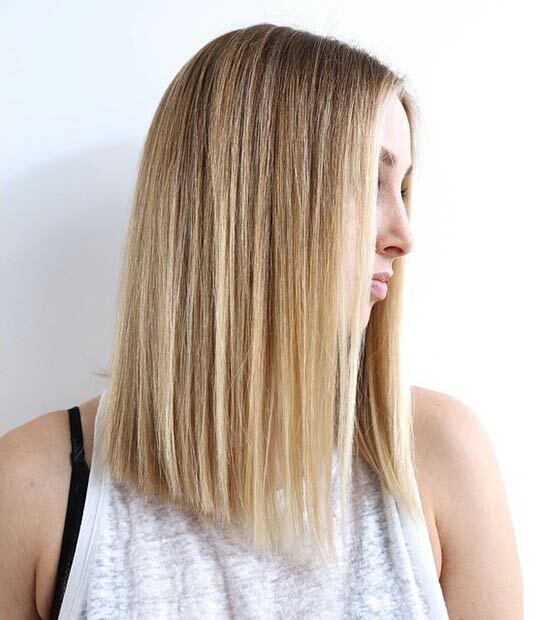 This a-line cut is just short enough to help keep you cool from the summer heat, but long enough so you’re not too uncomfortable with the length. 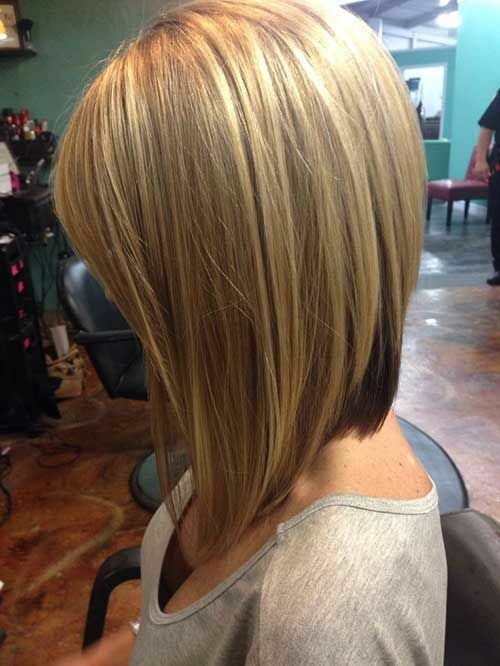 The highlights are a perfect colour for summer and add a great touch. Who needs perfectly straight hair all the time? A little messy hair can be a perfect look. Ruffle your fingers through the top of your hair to give it a little frizz, but not too much. Hold in place with hairspray. This makes it volumised too! Hair ideas for 2016: Do you have a red carpet event to go to or a dinner event with your boss and employees for their company? These tight curls will make you look put together and go perfectly with your dress or suit. Consider giving a little peek of another colour in your cut. 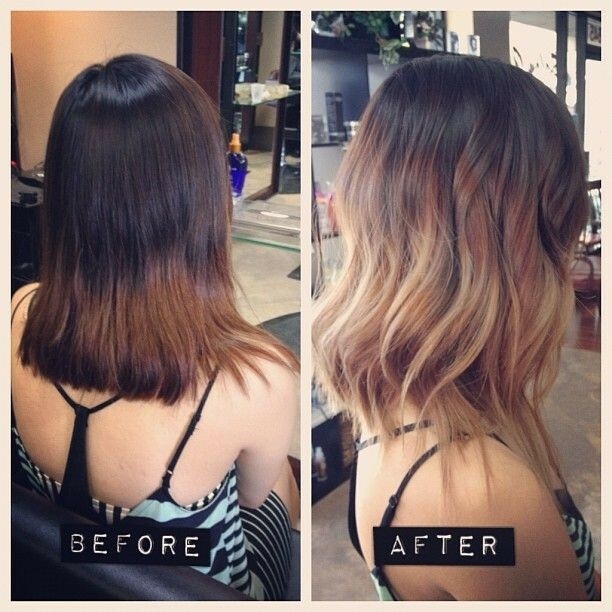 Going light on the top and darker on the bottom is a great way to do this. Most of the top hair will cover the bottom and the dark brown will be the perfect teaser. 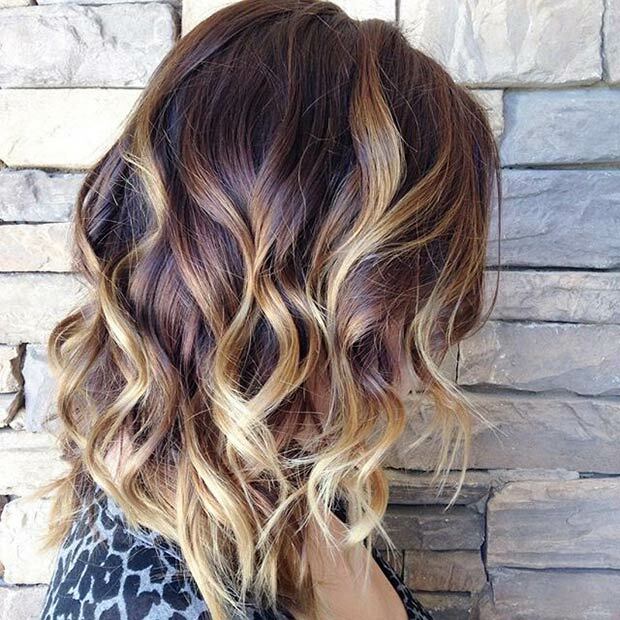 This is an idea for transitioning into a darker colour for the winter months. Instead of the usual dark to light, go from light to dark. It’s great for subtle style too! 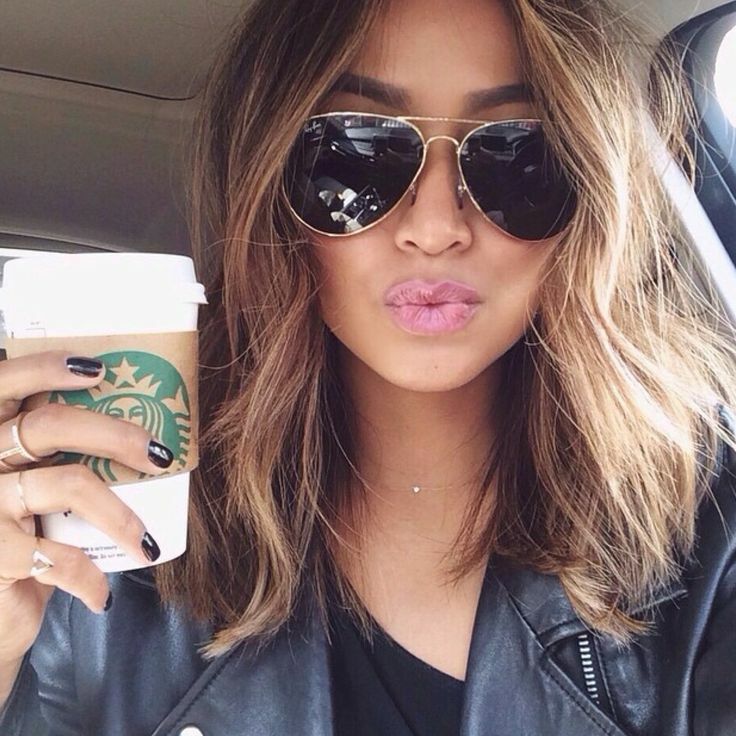 If you need an appropriate bob for the office, go with this. The length in the back is not too much shorter than the front length. You will look like a professional woman ready for your clients in the morning. 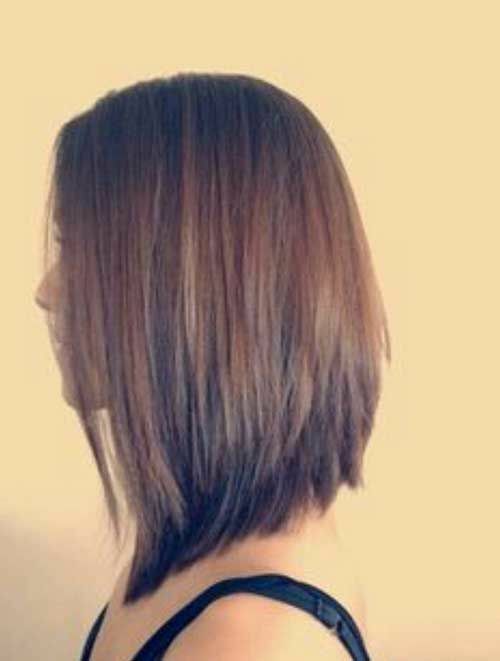 Most haircuts with layers still tend to look like one length hair, just with a little definition. 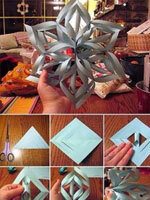 Take the extra step to making your cut look interesting by taking an inch of length around the top layer. Make the bottom hair another shade or two darker to add contrast.